Climbing French beans, have become a consistent feature on UK supermarket shelves. The Helda selection offered by Tozer has been trialled by us and is most suited to UK production. 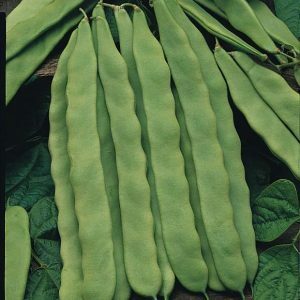 Flat podded variety, producing smooth, stringless pods 20 to 25cm in length. Sow February to crop under glass and sow April to May outside, producing heavy crops July to September.